Do you love impersonations? 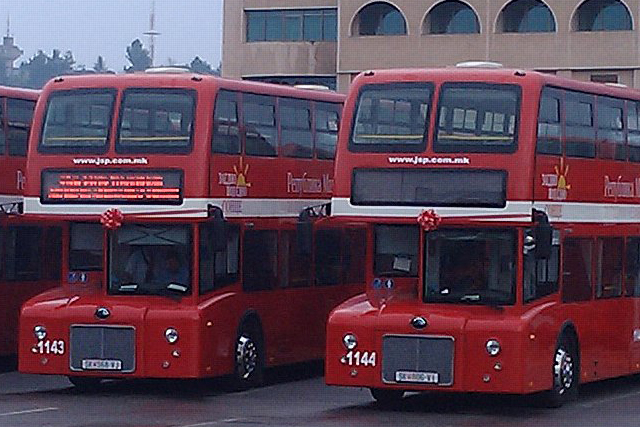 How about double-decker red tourist city buses? They seem an unlikely pair, but these two group together for the Show Bus of the Stars! The traveling production show is a unique, world class traveling production that makes its home on a London style double-decker bus. The performance features several different impersonators, so there is undoubtedly someone for everyone. Cher, Dolly Parton, Elton John, Elvis Presley, Janet Jackson, John Lennon, Liberace, Madonna, Marilyn Monroe, Shania Twain, Stevie Wonder and more all make appearances. But not only do these impersonators perform; they also interact with audience. Yes, you will have the opportunity to interact with and take photos of the performers. Naturally, every show is a unique experience. 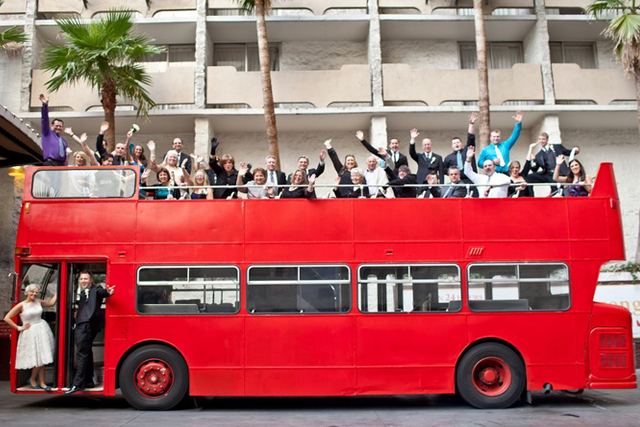 The show lasts for 90 minutes while the red double-decker bus cruises the Las Vegas Strip from Mandalay Bay and eventually down to the famous Fremont Street Experience. There is a 10-minute intermission once the tour reaches the Stratosphere, which gives riders a chance to enjoy the view of the Strip or to socialize with others on the bus. Show Bus of the Stars - VIP Seating: $49.95 per person. Show Bus of the Stars - General Seating: $49.95 per person. I rode the Show bus on my las visit to Las Vegas. We had Rod Stewart as our impersonator. He was awesome!. Lots of Vegas info plus lots of singing! I would do this again!